Modest oil reserves and favorable agricultural conditions lend Cameroon one of the best-endowed primary commodity economies in sub-Saharan Africa. Commercial and economic leader in the sub-region. Highly dependent on commodity exports. 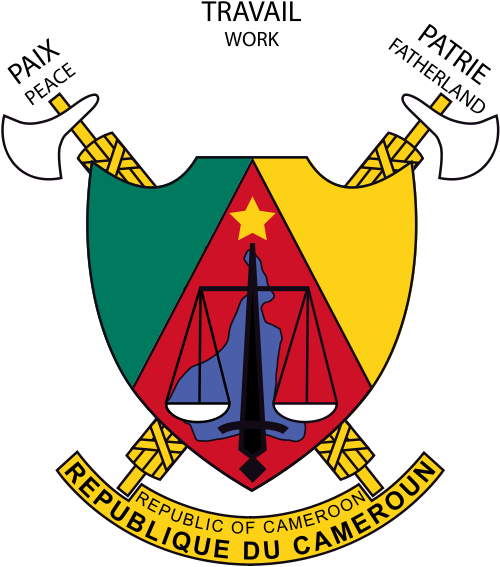 Despite this, the economy in Cameroon suffers from economic mismanagement, pervasive corruption, and a challenging business environment (for local and foreign investors). Cameroonian Embassy in the U.S.
[Cameroon Tribune] Cameroon 's under 17 national team has qualified for the finals of the 2019 African Nation's Cup in Tanzania after beating Angola 4-3 on penalties. Earlier in the day, Guinea grabbed the first ticket after bashing Nigeria on penalties (10- 9). It is the second time Cameroon U-17 will be playing the finals in the said category. [ICG] Crisis Group's work in Cameroon put underreported risks in this country on the policymaking radar years before the outbreaks of the Boko Haram insurgency in the Far North and a separatist revolt in Anglophone regions. [CAF] At stake is a place for Sunday's final when Cameroon squares Angola in the second semi- final match of the Total Africa Cup of Nations U17, on Wednesday at the National Stadium in Dar es Salaam. [Cameroon Tribune] A ceremony to award attestations to 19 laureates of the fourth batch of the Advanced Course for Sports Managers took place in Yaounde yesterday April 23, 2019.